You only have two full days to spend in Ottawa? No problem! I have the perfect two day itinerary for you. You’ll see the city, learn the history and fall in love! Believe me. I went, felt all the heart eye emojis, and returned half a year later. First, let’s start with a little story: when I flew to Ottawa last fall, I flew in on a Thursday. I traveled by myself, so when my flight was overbooked I agreed to take a later flight for credit for a future flight (which I put toward my second trip to Ottawa in May). I was originally supposed to fly through Toronto, but was rebooked to fly through Newark. They were able to pull my bag off the first flight and sent it to Newark… but didn’t tag it to get to Ottawa. One thing she appeared to be astounded by was the fact that I didn’t have an itinerary prepared and written down in a notebook. So you better believe, when I returned in May I had a detailed itinerary. The thing is, last fall I was so happy I didn’t have one. I knew what I had to see, and what else I wanted to see if I had time, but it was my first solo travel experience and I didn’t want to feel restricted to an itinerary I had prepared before I left. And I’m so, so glad I went with the flow. After I left the airport I checked into my hostel and went out to find dinner. When I returned there were two women were sitting in the common room. One of them was watching the news, but the other started talking to me. She had visited Ottawa quite a few times and told me what she would do if she had only two days in the city, all of which were things that topped my priority list of things to see. So, here’s what I did. Bytown Museum. Just a short walk over from Parliament Hill to the Rideau Canal, you’ll find this cute little museum. You’ll be able to tour the entire museum in just a few hours and it’s totally worth it to learn the history behind Bytown, which eventually became Ottawa. Haunted Walk of Ottawa. I ended the day with an impromptu trip to a writing conference that was taking place in Ottawa to see an author I like speak, but I originally had plans to go on one of the Haunted Walks of Ottawa. 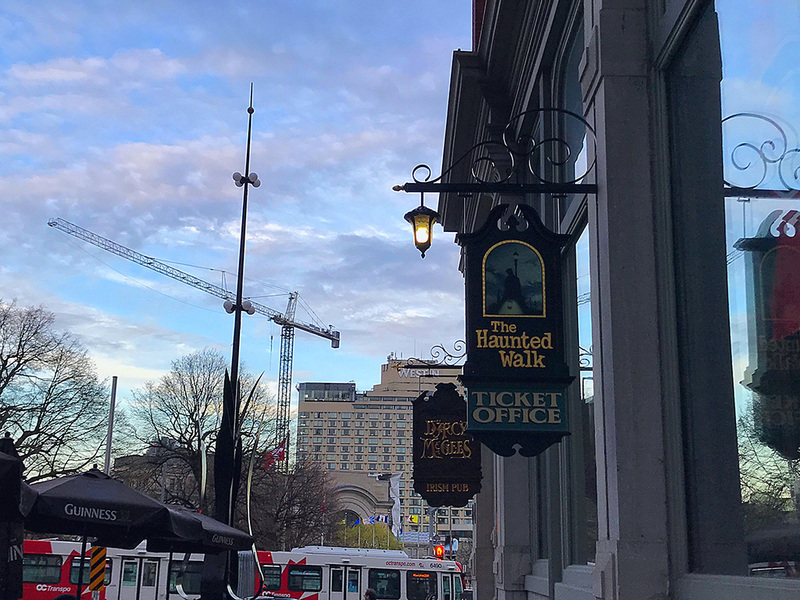 I’d recommend that you go on The Original Haunted Walk of Ottawa the same day you do another tour, so for your first night you should take a look at the Ghosts and the Gallows or The Crime and Punishment Jail Tour. If you’d like to follow the story of Patrick Whelan, who was executed for the assassination of Thomas D’Arcy McGee (who you will have learned about at the Bytown Museum), Ghosts and the Gallows is your tour. This one also has a bit of a spooky twist to it. If you’d like a general history of the jail with no ghosts (you’ll also be able to learn a bit about Whelan on this tour), The Crime and Punishment Jail Tour is for you. Ottawa Walking Tour. I’m usually not one for guided tours, especially if you’re stuck on a bus for the entire tour. 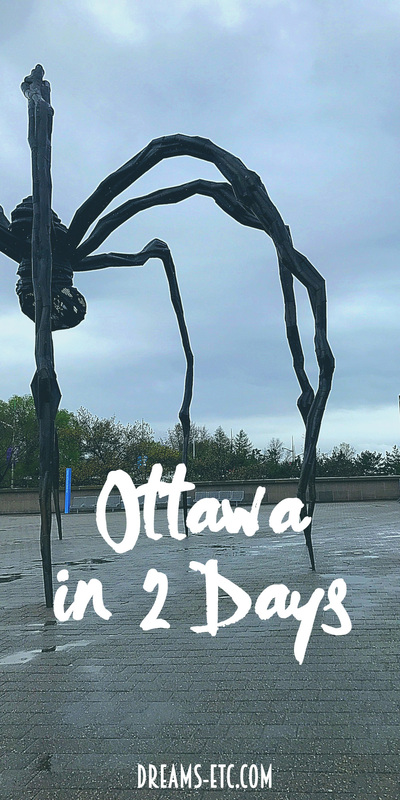 I like to explore on a city on foot, so I decided to give the Ottawa Walking Tour a shot and I absolutely loved it! 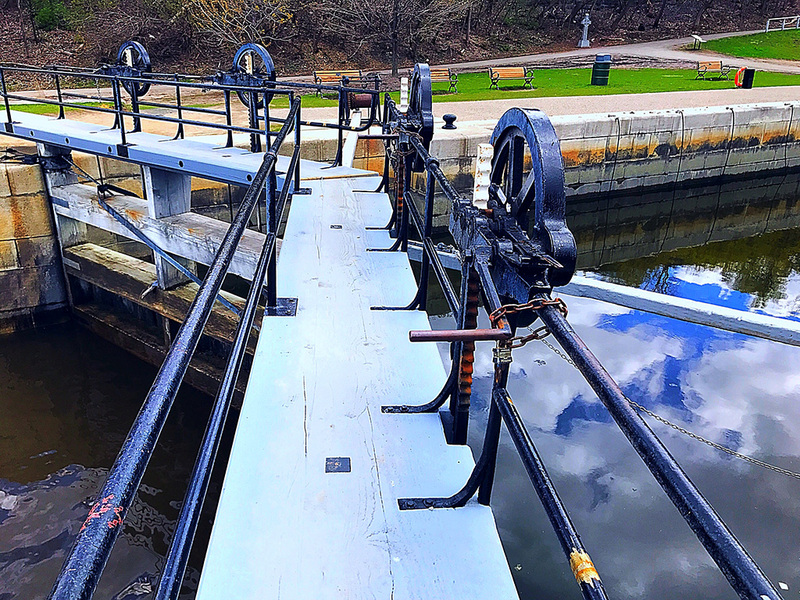 You’ll learn more about the Canadian government, how the city was settled and how that impacted the architecture, and more about the history behind the building of the Rideau Canal. I walked away with a lot of information and I was able to pass it all on to my mom when we returned in May. I highly recommend it. ByWard Market. The tour ends in the ByWard Market (and he gives you a piece of maple candy, which was 👌🏼), so take some time to explore the restaurants and the shops. I had a lot of fun in this area and found a nice, cheap place to grab a meal. Notre-Dame Cathedral. While you’re in the ByWard Market you’ll be close to the Notre-Dame Cathedral, so walk on over and head inside. Unfortunately there was a wedding the day I tried to go in October, but I was able to get inside in May and it is stunning! Definitely worth a look. If you have some time, you can check out what museums are available, grab some dinner or just hang out. Haunted Walks of Ottawa. End your day with The Original Haunted Walk of Ottawa. I loved going on this tour the same day as the Ottawa Walking Tour, because it covers some of the same areas as the first tour, but you learn some new things about some of those same places, and they add a spooky twist. 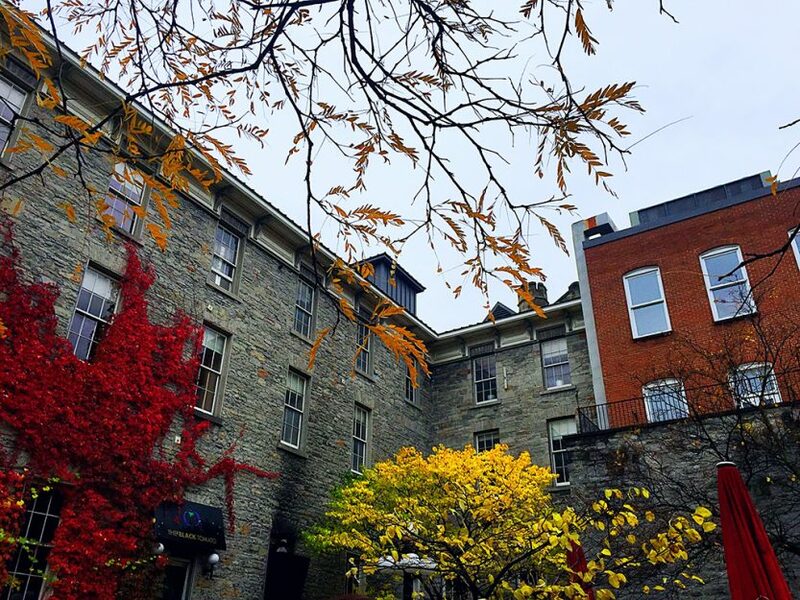 See the city, learn the history and fall in love with Ottawa in two days! And that’s it! 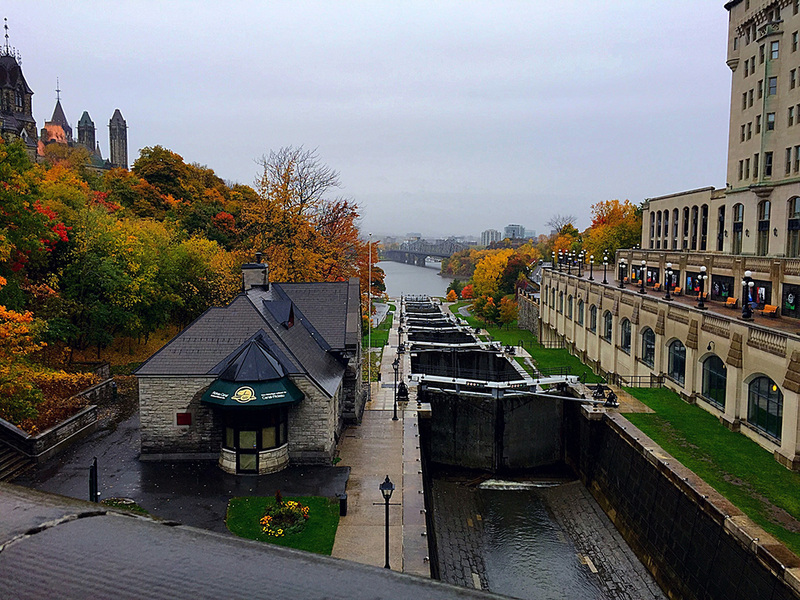 See the city, learn the history and fall in love with Ottawa in two days. You’ll also have plenty of time to rest and relax if you’d like. A big thank you to the woman who helped me put together this itinerary and who shall remain nameless on the blog because we never actually exchanged names. It was the perfect way to spend two full days in Ottawa. Have you been to Ottawa? What would you add to this itinerary? PS – Back in October I stayed at the Barefoot Hostel, which is a female-only hostel that typically draws an older crowd — so it’s quieter and free of party animals. I spent about $35 a night for a bed, so it’s a little pricier than some hostels, but it’s still much cheaper than getting a hotel room. I only had one roommate each night, it was quiet and I was always comfortable when I was there. I’d recommend it if you’re looking for a cheap place to stay. 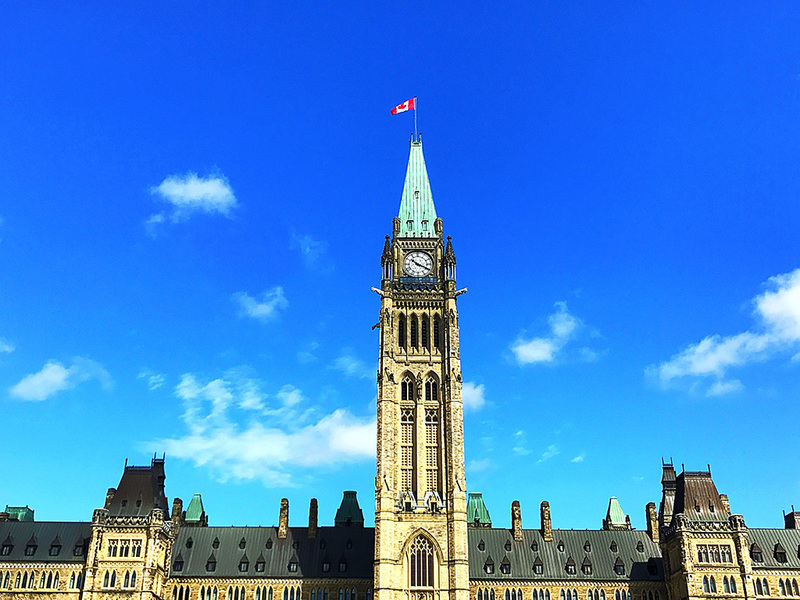 PPS – If you missed it (way back when), be sure to check out my first impressions of Ottawa. This sounds like a fun trip! Of course that is after you got done dealing with all the craziness. I would have never let that lady look into my phone and start texting people. You are a lot nicer than I am. I feel that sometimes it’s better to not have an itinerary and just go with the flow. Well after reading this I am totally wanting to head to Ottawa for a few days! It looks like it has so much culture. What an awesome couple days! And great tip on the hostel. I love all these pictures! I think I would enjoy a couple of days in Ottawa! I would have completely pissed my pants at custome if I were you. That’s terrifying (getting grilled, that is). This sounds like a really great itinerary. I’ve never been but it’s definitely on my ever-growing bucket list of places I need to travel in my lifetime!! Definitely putting Ottawa on my bucket list! Looks stunning. I’ve never been but hope to go one of these days! You have inspired my travel bug. Thanks for this great itinerary. I’ve pinned it to my travel dreams board, so I won’t forget your recommendations! How fun! That’s great you got to see so much in two days. I LOVE haunted tours. Those are so much fun, and I need to go to more. This looks like such a fun and beautiful trip! Totally would be into that haunted walk! I’m surprised at how aggressive customs was, although I guess it shouldn’t be nowadays. I’m sure it was all in the name of safety. Ottawa seems lovely, I’ve never thought about visiting before but if we were near the area it would be really neat to stop there for a while! What a beautiful place!! Adding this to my never ending travel list!! Sounds like a great trip! I love all the tree colors and architecture! SO beautiful!!! I need 2 (or more!) days in Ottawa!! I’d love to visit Ottawa. Canada is one of my favorite places to visit! These photos look just like Dublin when I was there in December. I will admit I have never heard of Ottawa before (thanks for expanding my small-town mind) but it is beautiful! I really need to leave the country one day and explore. As I was reading your post, I was thinking, where is Ottawa?! Thanks for enlightening me that it’s in Canada! The canal and the cathedral looks beautiful. I love going to museums to learn about the cities. Seems like a nice trip! I love Ontario! Although, I’ve never been to Ottawa. My grandparents had a cabin in White Lake when I was growing up and it was just one of my absolute favorite places to go. These pictures are beautiful and I’m yearning a trip to Canada even worse now! Thank you for sharing. Hey your from MN too? Cool. I always wanted to go to Canada. Your pictures make me want to even more now. Beautiful!! I have never been!! Now I know what to do when I go!!! Oh wow how beautiful! You got some great photos! I’d love to visit someday! Perfect timing for this post! My husband and I are planning to head back to Ottawa for the holidays to visit with family. This gives me lots of ideas as to what we should do while they’re at work. This sounds heavenly!! Your photos are beautiful (taken with an iphone?) This is a place I need to put on my travel list. I’ve never even considered Ottawa for a long weekend, but what a great idea! 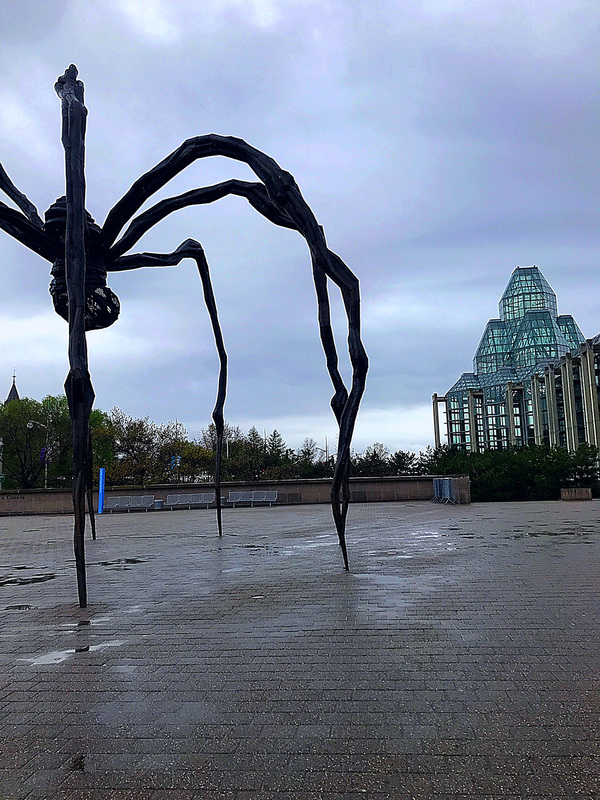 I’ll have to add this to my list of long weekend trips, though I have to say that statue looks like a giant spider – eek! I have never been to Ottawa, but after seeing these photos would love to! I live in the Southwest where we don’t have four real seasons. I miss the leaves changing color! I LOVE Ottawa, My aunt had an apartment there when I was younger and my family would always go down for little summer visits. I just loved walking around and exploring the market. The museums are some of my favourite too. Oh this was super helpful! I have been trying to take another weekend trip and this would be the perfect itinerary! Thanks for sharing!